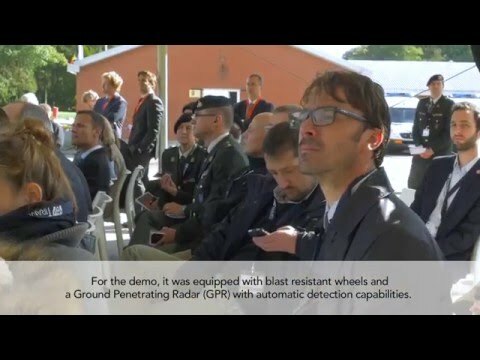 On the 24th of September 2015, the final field trials of the Mine Action tools developed by the members of the two European FP7 Projects TIRAMISU and D-BOX – took place at Meerdael, which is home to DOVO-SEDEE (the Belgian Explosive Removal Unit) in presence of Her Royal Highness Princess Astrid of Belgium. Between the 27th and the 30th of April 2015, the beautiful Croatian city of Biograd will be host to the 12th International Symposium and Equipment Exhibition "Mine Action 2015". Fifty years of civil war in Colombia, affecting more than 6.7 million people and resulting in a death toll of at least 220,000. That’s the size of the conflict between the Colombian government on the one and the Revolutionary Armed Forces of Colombia-People’s Army, known as the FARC-EP, or just the FARC on the other side. The updated version of the TIRAMISU presentation video can be found here. The department of Environmental Management and Land-use Planning (Institut de Gestion de l'Environnement et d'Aménagement du Territoire - IGEAT) of the Université Libre de Bruxelles, is developing a digital and user-friendly tool to manage Humanitarian Demining operations and to help define Suspected Hazardous Areas. 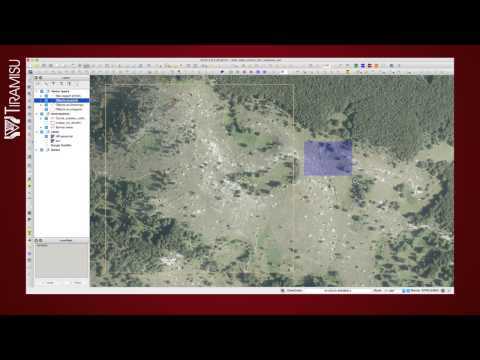 The video that showcases the tool's interface can be found here. The Department of Weapon Systems and Ballistics (ABAL) of the Royal Military Academy of Belgium, which coordinates the TIRAMISU project, is developing a new technique to test protective materials designed to improve safety for demining personnel. The video presenting this new technique can be found here. There has been a significant decrease in the number of people that have been injured, maimed or killed by antipersonnel mines in 2013, resulting in the lowest ever figures reported by the International Campaign to Ban Landmines (ICBL) since records began. In its 2014 report, prepared by the Landmine Monitor, ICBL recorded 3.308 deaths or injuries caused by mines or Unexploded Ordnance (UXOs), almost a quarter less than the 4.325 recorded in the previous year, despite the recent multiplication of conflicts in some countries in the Middle-East. TIRAMISU partners spearhead new project on "Mine Action after the Floods"
Three of the partners of the TIRAMISU project (Croatian Mine Action Centre for testing, the faculty of Geodesy at the University of Zagreb and the Royal Military Academy of Belgium) are taking part in a new demining initiative, following severe natural disasters in Bosnia and Herzegovina in 2014. An Unmanned Ground Vehicle (UGV) developed in the context of the TIRAMISU project will be used in next year’s Humanitarian Robotics and Automation Technology Challenge (HRATC’15) as the “playing field” on which the competing teams will test their coding and their robotic command skills. TIRAMISU project to undertake Mine Risk Education (MRE) activities in Cambodia Snail Aid, one of the TIRAMISU project partners and the Cambodian Mine Action Centre (CMAC) have reached an agreement to undertake Mine Risk Education (MRE) activities in Cambodia in October 2014. The Bulgarian government said Thursday 2nd of October that 15 people had died in the northwest after explosions the night before tore through a plant that decommissions land mines. Fearing further blasts, the government sent an armored vehicle into the plant Thursday morning, with drones flying overhead to assess the damage. 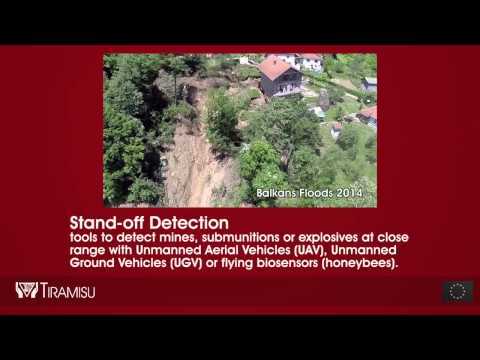 Over the past few months, the Croatian Mine Action Centre (CMAC) has been testing a method of detecting landmines which involves using honeybees, at its Cerovac test site in Croatia. This method was developed as part of the TIRAMISU project, funded by the European Union which aims to develop a toolbox that can assist personnel working in the field of Humanitarian Demining. 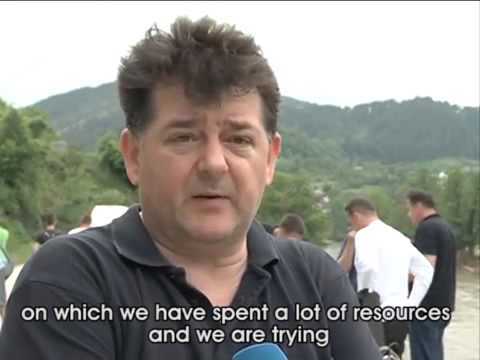 TIRAMISU and ICARUS release video of joint Bosnia Herzegovina 2014 floods mission. 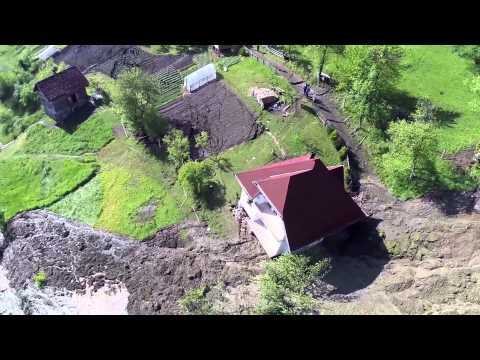 The TIRAMISU and ICARUS consortia have released a video showcasing their joint contribution to the assessment of the damage caused by the Bosnia-Herzegovina 2014 floods. The mission was deployed at the request of the Belgian First Aid and Support Team (B-FAST), with the purpose of identifying the most appropriate locations for the implementation of relief operations, through the use of an Unmanned Aerial Vehicle (UAV). TIRAMISU project partners, the Institute of Systems and Robotics at the University of Coimbra (ISR-UC), Ingegneria Dei Sistemi (IDS), VALLON, the Royal Military Academy of Belgium (RMA), the University of Catania (UNICT), DIALOGIS, PROTIME and the Institute for Environmental Management and Land Planning at the Université Libre de Bruxelles (IGEAT), carried out pre-validation tests on robotic devices at a minefield led by the Demining service at the Belgian Defence (DOVO), between the 14th and the 16th of July 2014. 27th of June 2014 - The United States Government has announced its intention to stop producing or purchasing anti-personnel landmines, meaning that existing stockpiles will not be replenished. Explosive Remnants of War (ERWs) and Unexploded Ordnance (UXOs) kill thousands of civilians every year across the globe, even in post-conflict countries that transitioned to peace many years ago. TIRAMISU project representatives participated in the European Space Solutions conference, which took place between the 11th and 14th of June 2014 at the Prague Conference Centre in the Czech Capital, in order to present the contribution of the European Space Programmes (Copernicus, the European Earth Observation programme and Galileo/EGNOS the EU Satellite Navigation programmes) to Humanitarian Demining activities. 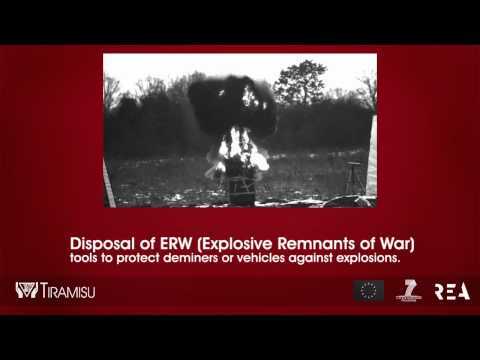 Efforts to completely eradicate Explosive Remnants of War (ERWs) from Croatia by the end of 2019 will cost an estimated 528 million euros, according to the Croatian Mine Action Centre (CMAC). The organisation’s director, Drazen Jakopec, attended a meeting in Varaždin, north-eastern Croatia on the 3rd of June 2014 in order to discuss the implementation of a three-year Humanitarian Demining Plan. Bosnia-Herzegovina and Serbia, as well as parts of Croatia, have been hit by the worst flooding on record following torrential downpours over the last few weeks. The Belgian First Aid and Support Team (B-FAST), one of the ICARUS project partners, has been deployed to Bosnia-Herzegovina to assist with relief operations. Photo credit: EC/ECHO/EEAS/EU Delegation BiH Brussels, Belgium - May 19, 2014 - ICARUS and TIRAMISU, two Research and Development projects funded by the European Commission's DG Enterprise and Industry, have joined forces to participate in relief efforts in Serbia and Bosnia-Herzegovina in the aftermath of the most severe natural disaster the region has faced in the last century. The 11th Symposium on Humanitarian Demining took place in Zadar, Croatia, from the 23rd to the 25th of April 2014. The event was attended by participants from 32 different countries and was organised by the Centre for Testing, Development and Training, the Croatian Mine Action Centre and the Office for Mine Action of the Croatian Government. The purpose of the conference is to provide a forum for participants to discover the latest technological developments for demining operations and to discuss the current issues affecting the Mine Action community. In 2005, the United Nations Mine Actions Service (UNMAS) declared that on the 4th of April each year, the International Day for Mine Awareness and Assistance in Mine Action would be observed in order to establish, foster and develop mine action capacities in post-conflict areas. Tiramisu in the spotlight: Vorsicht Minen! (Caution Mines!) A documentary was aired on the 4th of April on Austrian TV. Following two years of filming, a documentary on Humanitarian Demining and Mine Risks was aired on the 4th of April on the Austrian Channel ORF (Österreichischer Rundfunk). The documentary highlights the dangers related to land mines and Unexploded Ordnance (UXOs) that still exist in many nations across the world, and aims to raise awareness of the tasks performed by professional demining personnel as well as the inherent risks associated with mine clearance activities. The first Humanitarian Robotics and Automation Challenge (HRATC) organised by the IEEE Robotics and Automation Society’s Special Interest Group on Humanitarian Technology (RAS-SIGHT) will take place from the 31st of May until the 1st June 2014 in Coimbra, Portugal. Members of the TIRAMISU consortium have played an instrumental role in organising the event. Members of the TIRAMISU consortium participated in a roundtable discussion and exhibition on demining activities in Croatia on the 19th of February 2014 at the EP in Brussels. The theme of the event was "Landmines in Croatia - Landmines in the EU, until when?" and was held in an effort to engage policy-makers in Humanitarian Demining strategies for Croatia. Click on the link below to access the article, which describes how UGV robots are being developed in the frame of the TIRAMISU project to detect mines and save human lives. TIRAMISU Partners map landmines in the Svilaja and the Dinara mountains, Croatia. The TIRAMISU project funded by the European Commission under the Seventh Framework Programme (FP7) is researching methods and developing technologies to undertake non-technical surveys of suspected hazardous areas, using remote-sensing techniques. Members of the TIRAMISU consortium visited the Svilaja mountain near Peru?a, Croatia on the 4th of May, 2013 aiming to learn about the terrain of the former battlefield and to search for indicators to enable them to assess the extent to which the area remains infested with mines. The Japanese Government has awarded the sum of US$ 1,248,046 in grant aid for humanitarian demining in Northern Sri Lanka under its Grant Assistance for Grassroots Human Security Project (GGP). Archive image: Simulated mine accident The Bosnian media has reported that a ten-year old boy was fatally wounded in a marked landmine field in the town of Gracanica in northern Bosnia and Herzegovina, while picking scrap metal. The police have confirmed that the boy was killed and that his father sustained life-threatening injuries from the explosion of the mine. According to the local media, the boy’s family is forced to make a living from collecting scrap iron and selling it. 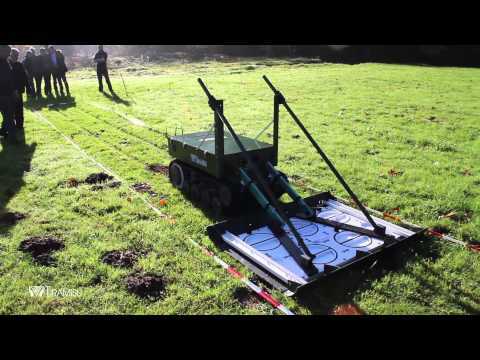 On November 13th, the Royal Military Academy of Belgium and Vallon GmbH tested the upgraded Teodor UGV fitted with its metal detector module in Meerdaal, Belgium. 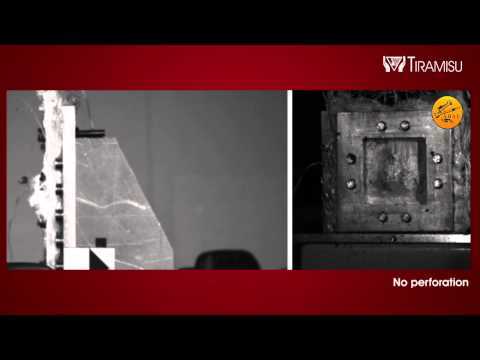 TIRAMISU consortium just released the video of the 10th Symposium on Humanitarian Demining that took place in Sibenik, Croatia in April 2013. The video of the event is available here. Prof. Giovanni Muscato presenting TIRAMISU at SSRR 13 The 11th editionof the IEEE International Symposium on Safety, Security, and Rescue Robotics was hosted in Linköping, Swedenin October 2013 and continued its tradition of exploring cutting-edge research in the theory and practice of robots for rapid and secure inspection of critical infrastructure, disaster response and recovery, humanitarian demining and detection of chemical, biological and radiological risks. TIRAMISU partners participated in the 7th International Workshop on Robotics for Risky Environment. The event took place as part of the biannual St. Petersburgh Innovation Forum. During the two-day event stakeholders from across the globe gathered to discuss new developments in the field of Extreme Robotics. A team of TIRAMISU partners including representatives from the Pierre Trattori company, the University of Genoa, SnailAid and SpaceTec Partners gathered in Parma (Italy) to test the Locostra wheel developed in the framework of the project. Reuters news agency interviewed and filmed Professor Nikola Kezic and his crew, members of the TIRAMISU project, about their work on explosive sniffing bees. The insects are being trained to sniff out the deadly devices, by being fed sugar scented with the smell of TNT explosives. The new issue of the ‘Journal of ERW and Mine Action’ has dedicated an article to a study of land release processes carried out by Snail Aid –Technology for Development, as part of the TIRAMISU project’s activities. Snail Aid, as the lead partner for the Mine Risk Education element of the TIRAMISU project, conducted a three-month survey of key mine action stakeholders in Angola, Bosnia and Herzegovina, Cambodia, Croatia, Northern Iraq and Tajikistan. The meeting of the Intersessional Standing Committees (ISCs) of the Mine Ban Treaty (MBT) took place between 27-30 May 2013 at the World Meteorological Organisation (WMO) headquarters in Geneva, Switzerland. The meeting included a workshop on victim assistance, which took place 30-31 May. The meeting of the Standing Committees serves as a core part of the Intersessional Work Programme established in 1999 at the First Meeting of the State Parties. According to the 'International Campaign to Ban Landmines network' over the last few weeks 6,300 people have survived landmine/Explosive Remnants of War (ERW) explosions in Bosnia as well as over 600 people in Senegal. These tragedies are not confined to these two countries. More than 4,200 people, of whom 42% are children, have been falling victim to landmines and ERWs annually in many of the countries affected by war or in post-conflict situations around the world. Dr. Yann Yvenic from the Belgium Royal Military Academy, coordinator of the TIRAMISU project In May 2013 a fraudster who sold fake bomb detectors was jailed for 10 years. He is thought to have made £50m (i.e. over 58 M €) from sales of more than 7,000 of the fake devices to countries, including Iraq. The Egypt-Japan University of Science and Technology organised a workshop on “Robotic Technologies for Humanitarian Landmine Detection” in the City for Scientific Research and Technology Applications at New Borg El Arab (Alexandria) on 4th of June, 2013. The University of Zagreb, a partner in the TIRAMISU project, is developing a method to train honeybees to detect explosives. The main focus of the initiative is to condition honeybees to search for the scent of TNT. 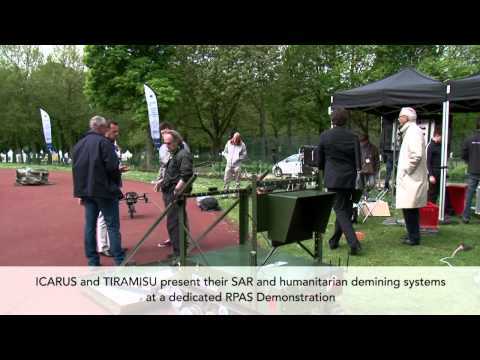 During the 10th International Symposium ‘Humanitarian Demining 2013, opened by Ivo Josipovi?, President of the Republic of Croatia, both the work of the TIRAMISU project and the work carried out by the University of Zagreb were presented to the public. Ivo Josipovi?, President of the Republic of Croatia, opened the 10th International Symposium on 'Humanitarian Demining 2013 - HUDEM 2013', organised by the Croatian Mine Action Centre and the HCR-Centre for Testing, Development and Training Ltd., a TIRAMISU project partner. The IEEE International Symposium on Safety Security Rescue Robotics will take place at the Linkoping University in Sweden from the 21st until the 26th of October 2013. The IEEE International Symposium on Safety Security Rescue Robotics was established by the RAS Technical Committee on Safety, Security, and Rescue Robotics shortly after the use of robots in the 9/11 collapse of the World Trade Center and subsequent accelerated adoption of robots for homeland security and public safety. After 20 years of civil war, South Sudan seceded from Sudan, becoming the world’s youngest nation – and one still reeling from the fall-out of the fighting. Swaths of the new country remain contaminated with landmines and other explosive remnants of war, causing the land to lie fallow and preventing infrastructure from being built. In 2010 to 2011, in a resurgence of conflict, along the border between Sudan and South Sudan left numerous roads re-mined and closed once again to civilian and humanitarian traffic. The Royal Higher Institute for Defence in close cooperation with the Belgian Federal Public Service of Foreign Affairs, Foreign Trade and Development Cooperation and United Nations Brussels are organising the colloquium 'The Ottawa Convention: the first step towards humanitarian disarmament'. Tiramisu representatives travelled to Cambodia last February to meet the Cambodian Mine Action Center and onther Cambodia Mine Action stakeholder to present Tiramisu Project and discuss about the mines and UXOs situation in the country located in the southern portion of the Indochina Peninsula. Cambodia has a huge problem with mines and UXOs being one of the most contaminated country in the world due to recent internal conflicts. After the official announce of the 10th International Symposium on Humanitarian Demining (HUDEM’ 2013), the Journal of ERW and Mine Action, the longest continuous source of information on ERW and Mine Action in the world, has published an article on the successful Humanitarian Demining Symposium in Šibenik (Croatia) on 24th, 25th and 26th April 2012. This article highlights the events organised on the framework of the ninth edition of the Humanitarian Demining Symposium as well as the equipment exhibition in Šibenik (Croatia). The American website for topical science articles, Science Daily, has published an article on the FP7 project Tiramisu on 10th December 2012. This article mentions the benefits of a training tool which improves the use of hand-held detectors in humanitarian demining and to increase user security and which has been developed by the Centre for Automation and Robotics of the Universidad Politécnica de Madrid and the Spanish National Research Council in the framework of the Tiramisu project. The 7th edition of the IARP (International Advanced Robotics Programme) workshop - Robotics for Risky Environment and Extreme Robotics- will be organised, with the support of the Climbing and Walking Robotics Assocation (CLAWAR), in the Russian State Scientific Centre for Robotics and Technical Cybernetics of Saint-Petersburg (Russia) from 1st until 3rd October 2013. Brussels hosted the European Space Expo from 26th September until 11th October 2012 with more than 16,000 visitors. During the Expo, experts in the Space, environment, agriculture and many other sectors, presented to the general public the many ways in which the GMES (Global Monitoring for Environment and Security) and Galileo programmes are already bringing benefits to EU citizens. The Belgian Royal Military Academy hosted and co-organised the 5th International Workshop on Human-Friendly Robotics (HFR 2012) on 18th and 19th October 2012. The workshop aimed to bring together actors from the R&D world to exchange their views on the design, control, safety and ethical issues concerning the introduction of robots into daily life. Six farmers were killed and two others injured when a landmine exploded in Cambodia's northwestern Battambang province. Local police chief Khum Soy said the victims, whose ages ranged from 17 to 56, were "on their way home from the market when they ran over the anti-tank mine" on Sunday evening. Police said the mine is thought to have been planted in the 1980s during fighting between the Cambodian army and Khmer Rouge rebels. The Institute of Mathematical Machines (IMM), partner of the TIRAMISU project, organised the international workshop on Robotics for Risky Interventions in the Conference Room of the Institute in Warsaw (Poland) on 11th - 13th September 2012. This sixth edition was organised in the framework of activities of the working group of the IMM on Risky Intervention and Surveillance of the Environment (RISE). This working group, running from 2006, is coordinated by the University of Karlsruhe of Germany and the Royal Military Academy of Belgium (RMA), leader of the Tiramisu Project. 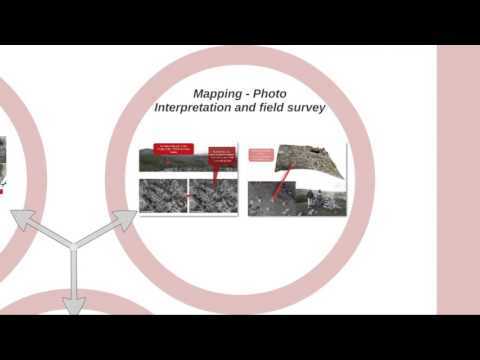 In April 2012, during the 10th IARP HUDEM Workshop 2012, the Tiramisu project was presented to a large audience of stakeholders and end-users. 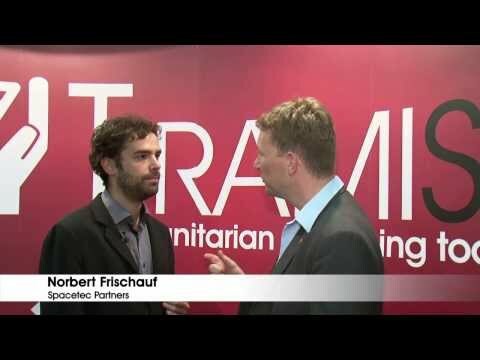 Norbert Frishauf, from SpaceTec Partners, interviews some of the Tiramisu consortium members to better give an idea of what is the actual purpose of the project funded by the European Commission. Thailand and Cambodia agreed at the second meeting of their Joint Working Group (JWG) in Phnom Penh to jointly remove and disarm landmines around Preah Vihear Temple before deciding about international observers, according to Thai Defence Minister Sukumpol Suwanatat. The 10th edition of the International Advanced Robotics Programme (IARP) Workshop HUDEM 2012 took place on 24-26 April in Šibenik (Croatia) and was dedicated to Robotics and Mechanical Assistance in Humanitarian Demining and Similar Risky Interventions issues. During the event, the EU Initiative TIRAMISU (Toolbox Implementation for Removal of Anti-Personnel Mines, Sub munitions and UXO) was presented to participants. HARILAC, Kosovo (AP) — Demining experts have resumed the slow process of clearing Kosovo of the many NATO cluster bombs and Serbian military land mines left behind from the 1998-99 war. Since the conflict ended, the hidden devices have killed 114 people and wounded more than 450. On April 24th all the important Humanitarian Demining stakeholders have gathered together to discuss new development over Mine Action Main topics were the following: Application of new technologies in general survey - defining the SHA Use of demining machines and mine protected vehicles in demining Underwater survey and demining Demining as a support activity in crisis situations (rescue, fire-fighting) Education and its impact on safety and demining quality.